A be’er way to analyse t-glottaling? Most people are familiar with the concept of t-glottaling, that is to say the replacement of /t/ with a glottal stop in a word. Using the symbols of the International Phonetic Alphabet, a word such as better may be represented as either [betə] if pronounced with an audible [t], or [beʔə] if pronounced with a glottal stop. Frequently, the glottal stop pronunciation is also represented as be’er. 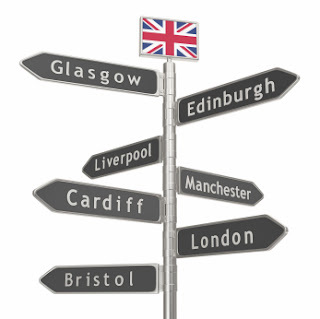 T-glottaling, once (and still by some) considered a stigmatized feature of speech, is now widespread in Britain and is generally perceived as being stereotypical of British urban speech (although it is by no means confined to urban areas). The replacement of /t/ with a glottal stop has been the subject of investigation by many sociolinguists in different parts of Britain and these studies have generally agreed that t-glottaling is most likely to occur in certain contexts. Within different social settings, speakers use t-glottaling more in informal styles of speech than when using a more formal style of speech and, generally speaking, you might expect to hear more t-glottaling from speakers lower down the social scale. T-glottaling is also associated more with younger speakers than with older speakers, an indication that this is a feature of language change which is still in progress. In addition to these social constraints on the use of t-glottaling, there are also linguistic contexts which are more likely to trigger its use. For example, t-glottaling is more likely to occur word-finally, in a word such as bit, than in word-medial position, in a word such as bitter. In word-final position, t-glottaling also follows a pattern in that it occurs most frequently when it is followed by a consonant (put down), less so when it occurs before a pause (stay put) and least of all when it is followed by a vowel (put off). Researcher Erik Schleef goes a step further in his analysis of t-glottaling. He focuses on t-glottaling among adolescents in London and Edinburgh and finds that although t-glottaling follows the patterns discussed above in both locations, his results show that the Edinburgh teenagers use more t-glottaling overall than the London teenagers. This may come as somewhat of a surprise as t-glottaling is often associated with London speech but, as Schleef points out, the phenomenon actually seems to have had a longer history in Scotland. Schleef also finds differences between the two locations in the teenagers’ use of word-medial /t/ when the /t/ occurs before a vowel (as in the word bitter), which is the context where t-glottaling is least likely to occur according to most studies. In London t-glottaling was most likely to occur before a consonant word-medially but in Edinburgh t-glottaling was just as likely to occur before either vowels or consonants. Schleef also examines whether the use of t-glottaling is influenced by the grammatical category of words and finds that adjectives and nouns disfavour t-glottaling whereas function words (e.g. prepositions and pronouns), and both progressive and past participle forms of verbs (e.g. waiting, waited) tend to favour glottal replacement. On closer examination, Schleef suggests that progressives and past participles are likely to show high rates of t-glottaling because /t/ appears in word-final position of the root word (in this example, wait) which is a context that attracts high rates of glottal replacement. Lexical frequency was also investigated and may also trigger the use of t-glottaling. Schleef found that in both locations more frequent words favoured glottal replacement when the /t/ occurred in word-medial position and in London this was also the case for word-final position. In Edinburgh, Schleef also found that words of four or five syllables favoured glottal replacement. What this research indicates is that the use of glottal replacement may be affected by more than just phonological factors, as has been assumed in many previous studies. It provides a framework for the way forward for future studies of this phenomenon. Schleef, E. (2013). Glottal replacement of /t/ in two British capitals: Effects of word frequency and morphological compositionality. Language Variation and Change 25: 201-223. R you an Arsenal supporter? 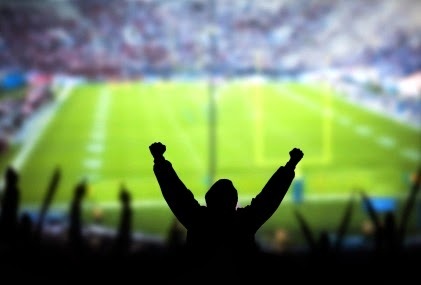 Did you know that being a football fan can affect your pronunciation? This is what Jessica Love and Abby Walker discovered from their interviews with fans of English Premier League and American football. They interviewed 20 male soccer fans at a pub in Columbus Ohio showing live screenings of English soccer matches. During the first part of the interview they asked open ended questions such as ‘please share a happy memory about your favourite team’; in the second half of the interview they asked participants to read aloud and briefly comment on specific English and American football terms such as Arsenal or Blackburn Rovers, Pittsburgh Steelers or Chicago Bears. Nine of the participants spoke standard British English, had been born and raised in England and had been in the US for at least two years. The other eleven participants had been born and raised in the US and had all been exposed to British English either through having British friends or colleagues or by regularly watching broadcasts of English Premier League football. Most of the 20 participants were fans of both English and American football. The researchers focused on one of the most striking differences between British and American standard English – the pronunciation of /r/ in words like cart or, more importantly here, in the first syllable of Arsenal or the last syllable of Pittsburgh. The interviews yielded 2369 words such as this, where speakers of standard American English, but not speakers of Standard British English, would be more likely to pronounce an /r/. Importantly, although we tend to think of ‘r’ as either present or absent, fine-grained phonetic analysis shows that the degree of constriction that produces /r/ is actually a continuous measure. This allowed the researchers to measure meaningful degrees of constriction resulting in pronunciations that were more or less /r/ like, even though listeners may not easily detect the differences. shifted towards the dialect they associated with the sport. More detailed statistical analysis showed that American speakers shifted only in the second part of the interview, when they were reading aloud and briefly commenting on a specific sports-related term. The English speakers shifted more systematically, in both parts of the interview. Perhaps this simply reflects exposure to the dialects: the English speakers were currently living in the US, and it was American speakers with the most exposure to British English who had the largest shift when talking about English football. However, Love and Walker argue that identity may be a further relevant factor. They claim that their participants were emotionally invested in the sports teams they follow: being an Arsenal Gunner or an Ohio State Buckeye, they say, is part of a sports’ fan’s identity, just like gender, ethnicity or nationality. Perhaps this accounts for the finding that the British speakers who were fans of both American and English football produced more /r/like pronunciations overall and had the largest shifts between less/r/like and more /r/like pronunciations: in other words, they were changing identities when they talked about American football or English football, along with changing their pronunciation of /r/. One speaker who was a staunch fan of the Gunners but not of any American football team did not shift his pronunciation of /r/ at all. The researchers point out that to test whether identity as a sports fan is really relevant, we would need to interview people about a different topic. Would a conversation about the British Monarchy, they ask, be as effective in eliciting a shift towards British English as a conversation about a favourite Premier League soccer team? Love, Jessica and Walker, Abby (2012) Football versus football: Effect of topic on /r/ realization in American and English sports fans. Language and Speech. Prepublished 11 September 2012. Is the world becoming more or less polite? As the global population grows, our world has somehow seemed to shrink. Walk down the main streets of London, Paris, New York or Tokyo and you will see many of the same brand names –MacDonalds and Starbucks immediately spring to mind. This process of ‘globalisation’ refers to the way in which the world is becoming more uniform or ‘homogenised’. This has been attributed to the influence of American culture and one aspect which is of interest to linguists is the expression of politeness and impoliteness. This has been explored in some service industries in Britain where typically American expressions like Hi, how are you? and Have a nice day! and customers’ first names are being more widely used. Such innovations are often disliked as they seem counter to our traditional British reserve and are often thought to be impolite. 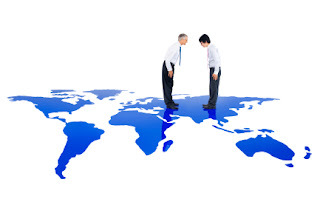 · The emphasis that American culture puts on a casual approach to business interactions is perceived as impolite in some societies where politeness has traditionally been associated with formality. American English is therefore blamed for introducing impoliteness. However, could it be that culture itself is changing in such places? For example, in Britain there has been a cultural shift towards emotional expression and openness and a rise in the popularity of psychology. Maybe this is just being reflected in our more informal language use? · The supposed influence of globalisation may really be dependent on context. For example, recently Greek politicians have been adopting less formal and more personalised speaking styles, attributed by some to globalisation. However, it could be that they are actually trying to distract their audience’s attention from sensitive political issues by ‘casualising’ their speech. · Sifianou feels that cultural context is especially important. She notes how, unlike in Britain and the US, it would be unthinkable for a Greek student to use informal language or to address University lecturers by their first names. In Greece there is a deep seated culture of formality which not only indicates politeness, respect and distance but is also a sign of refinement and good education. Formal language use indicates authority, expert knowledge and seriousness, so that Greek weather forecasts are highly formalised affairs unlike their English equivalents which tend to use informal expressions like ‘It’s somewhat of a mixed bag weatherwise.’ So it seems that in Greek politeness strategies may not be following American English’s lead of becoming more informal. · Multinational companies like Boots, MacDonalds and IKEA have their own training programmes that literally teach their employees what to say to their customers, so that interactions are scripted. Many believe that these linguistic norms are then spread across the world as the company grows and ‘travels’. However, Sifianou disputes whether this is really a true threat to local politeness practices. For example, employees of IKEA in Sweden are instructed to address customers with the informal form of ‘you’, du, and with employees worldwide receiving such prescriptive training we would expect this usage to transfer to other contexts. However, in Greece this has not happened. In fact Sifianou says that it would actually be ‘unthinkable’ and impolite for an employee to address a customer with the informal ‘you’. So language use is still culture bound, even under the influence of globalisation. · Sifianou sees globalisation as a ‘process’ which is just one element affecting language change. She feels it has been misrepresented as a threat to local languages as linguistic change has taken place throughout history. She argues that linguistic changes being witnessed currently in communities across the world should be examined within their own socio-historical context. Just as in the case of the Greek politicians trying to steer attention away from politics, what may at first appear to reflect the influence of globalisation may on closer inspection reveal a very different story. So I hope, dear reader, that you may graciously agree with me when I say that globalisation is just one factor at work with regard to how polite or impolite we are becoming.